SF WiFi offers low cost wireless solutions for hotels, property managers and apartment owners who need to provide reliable and secure wireless internet access to their clients. Our wireless customers include: Hotels, Apartments, San Francisco start ups, SMB, and of course the enterprise client. SF WiFi offers wireless site surveys, wireless predictive surveys, wireless design, wireless installation, equipment and continued support. We also offer 24/7 guest support for our Hotel clients. We specialize in high capacity wireless solutions for the Enterprise, Hospitality, Education and SMB industries. Our designs, installations, and wireless site surveys ensure seamless reliable wifi for our clients. Let us help you with design, installation or just best pricing equipment sale. The Ruckus Wireless ZoneFlex 7055 is a dual-band dual-concurrent wall mounted wired switch and wireless wall switch designed for next generation wireless. The ZoneFlex 7055 features integrated 2.4GHz and 5GHZ concurrent 802.11n WLAN radios, five wired Ethernet ports, PoE ouput, and a passthrough port for devices such as digital phones that require native access to a PBX system. Designed with hotels and multi-dwelling units in mind, the ZoneFlex 7055 is easy to mount to an electrical junction box and has a sleek and low-profile form factor. 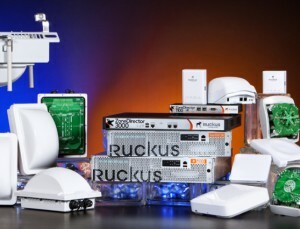 This provides flexible deployment options with Ruckus SmartMesh Networking for areas without existing Ethernet infrastructure.